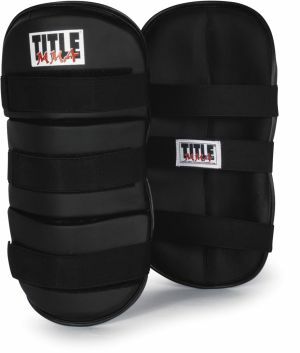 Specially designed for the rigors of MMA stand up training, kickboxing and even grappling workouts. Contoured and anatomically correct wraparound craftsmanship with three heavy-duty elastic wraparound straps and hook-and-loop attachments provides extra security and with virtually no movement during training. More than 1" of layered shock absorbing foams is surrounded by a double-ply synthetic leather cover for longevity. Allows uninhibited movement during workouts.